Bookshop Talk: Awesome Audio Books! I have a problem: I’m addicted to reading. No WAIT, that isn’t exactly true. Reading itself isn’t the thing I’m addicted to—it’s good storytelling that I can’t tear myself away from. But as much as I’d like to, I can’t read a book while I’m running errands, or on a long drive. Or cleaning. Or working out. So several years ago, I discovered audio books, and I’ve been madly in love ever since. 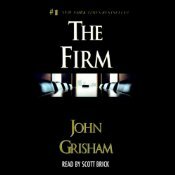 The first audio book I remember listening to was John Grisham’s THE FIRM, way back in the day when my library had . . . oh, just 50 or so “Books on Tape” to borrow. And I was blown away! Over the past decade or so, I’ve listened to—literally—hundreds of audio books, and many of them have been fantastic. But today, I’m only going to tell you about the audio books that I find myself recommending over and over and over again, because both the story and the narration are simply AMAZING. 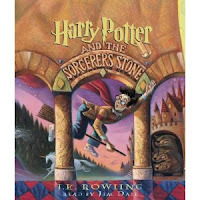 In my opinion, the far-and-away king of all audio books is HARRY POTTER (any or all of them). This also happens to be the best novel series ever, so adding the most entertaining narration in history quadruples the magic of these stories! Jim Dale’s narration is so excellent that if you’re already a fan of HP, trust me when I say that you’ll enjoy HARRY POTTER even more if you listen to the audio books. And if you’ve never read the series, “kid’s books” or not, you are missing out on a literary adventure that you can’t begin to imagine. And I must also add that, yes, the movies are GREAT, but they hardly touch the full scope of the stories, or the lovability of these very real characters. One way or another, READ/LISTEN to these books (again, and again)! 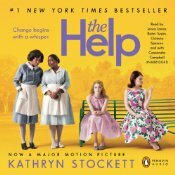 My next favorite narration is THE HELP, written by Kathryn Stockett, and narrated by four excellent readers. 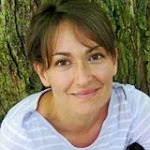 The story itself is too wonderful for a quick plug here, so if you need convincing, you can read Jessica Day George’s review of it here on Bookshop Talk. The audio version brings the story ALIVE, and again, adds a 3-D dimension to the novel (I also loved the recently released movie, although it didn’t quite do the book justice). 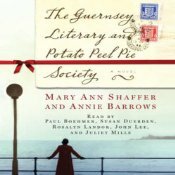 The Guernsey Literary and Potato Peel Pie Society . . . Wow, and wow again. The audio version of this novel is performed by several different narrators, giving each character a life of its own. 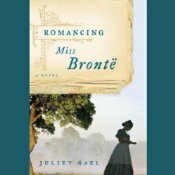 You can find a glowing review of this very unique novel on Bookshop Talk. 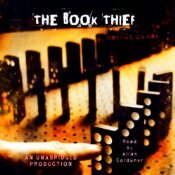 The Book Thief will make you smile, break your heart, and leave you in awe. And the audio narration is miraculously worthy of the story. Read a review of the novel here. 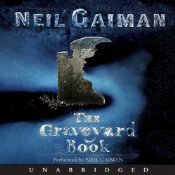 THE GRAVEYARD BOOK is read by the author himself, the incomparable Neil Gaiman, and what a treat!! 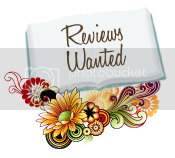 (Read review here). Author narrations can sometimes be a disaster, but Gaiman is spectacular, throwing a whimsical spin on his characters that only he can do. Other excellent author-narrators include Sara Zarr & Libba Bray. For rough and tough guys, both my dad and my husband LOVE Louis L’Amour audio books. Nonfiction books can be profoundly easier to get through if you’re listening to an audio version. The best example I can think of is Churchill’s massive volumes of documenting his own history: CHURCHILL. Over 37 hours of listening. No kidding. I also think that educational/motivational books are usually much more helpful when the author is talking right to you (“Yes, you CAN do it! I know you can! Get off that couch and . . . ”). Want both entertainment and education? 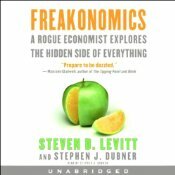 Listen to FREAKONOMICS by Steven D. Levitt and Stephen J. Dubner, which is filled to the brim with some completely engrossing, crazy stuff. Are there some crappy narrations out there? For sure. Some narrations totally kill the book for me, and I can’t even finish them (The audio version of THE HUNGER GAMES is awful!! But the book itself is one of my all-time favorites). Excellent narrations have often made a normally labor intensive read for me much easier to get through (Kate Morton’s THE FORGOTTEN GARDEN, for example, or ROMANCING MISS BRONTE by Juliet Gael). Both have great stories, but I'll admit that I often develop "literary ADHD" after a book passes 400 pages. Despite my love for audio books, I DO still read books. I’d never want to give up the awesome satisfaction in that. But when I really can’t wait to sit down again and finish up a book, I get the audio book version as well, so I don’t HAVE to wait for that next bit of quiet time. So where do I get all my audio books? 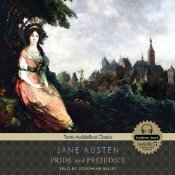 Usually Audible.com (and fyi, no one associated with Bookshop Talk, including myself, benefits from me promoting this site. So this is all 100% honest praise). I freaking LOVE Audible! It is generally way less expensive than other sources such as iTunes (especially if you buy several credits at a time), and you can now buy Audible audio books through Amazon. Also, your local library likely has a nice stockpile of audio books, so give them a try! Anyone else out there listening to audio books on a regular basis? If so, please share a few of your favorites! Or does anyone out there not like audio books? Why not? "PO-TTER! PO-TTER!" That's my Harry Potter audiobook cheer. I LOVE the HP books, and I LOVE Jim Dale! I own an audio version of Charles Dickens' A CHRISTMAS CAROL, which is also narrated by Jim Dale. Amazing! Wonderful! Delightful! I listen to it while I work on crafty Christmas gifts. My kids love to listen to it, too. I also love Terry Pratchett's THE WEE FREE MEN, which is narrated by Stephen Briggs. Hil-ar-i-ous. Because I have young 'uns at home, we often listen to kids' audiobooks while we do art projects together. Arnold Lobel does a terrific job of narrating his Frog and Toad books. I also love the old Disneyland Storyteller versions of well-loved (Disney-version) stories like Cinderella and 101 Dalmatians. I own many cassette tapes of these stories from when I was a kid. Another favorite in our home is (and yes, we are already doing Christmassy stuff) THE CHRISTMAS MIRACLE OF JONATHAN TOOMEY, narrated by James Earl Jones! Love it. Great story, great narrator. Kids' audiobooks save my LIFE. I could go on and on, but I won't. I love audiobooks! Great post, Amy! We love audiobooks for trips. The arkangel versions of Shakespeare are awesome (Jamaican Titania, anyone?) And I loved Glenn Beck's narration of his book Common Sense. When they're bad, though, they're AWFUL. We got a version of The Trumpet of the Swan that was a total snooze, and a version of The Death of Ivan Ilyich we got for a class was the most monotonous, soporific drone we'd ever heard. I love audio books! I really like Artemis Fowl. Nathaniel Parker does a great job narrating those. I also love Full Cast Audio. I've listened to a bunch of Shannon Hale books from them, and Airborn, by Kenneth Oppel, which is one of my favorite audio books ever. I also loved the audios of Marcelo in the Real World, by Francisco X. Stork, and for something totally different, Larklight by Phillip Reeve. Of course, the print version of that book has great pictures, so it's kind of a tradeoff. I don't think I've ever held a Grisham novel, but that's always what we listened to during long car trips when I was a kid. I loved those! There's something great about stopping at a gas station to stretch your legs and talking about what you think is going to happen next. To me, that's one of the big pros of audio books. I can enjoy the experience with other people and I read. I love audio books too and since I'm not the fastest reader and don't have a lot of time to read that's one way I can enjoy more books, but sometimes when I'm listening my mind wanders and I miss stuff. Kim, YES! Wee Free Men! Or any book read by Briggs, especially Pratchett. 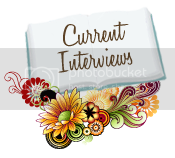 I agree, Meredith on Artemis Fowl as well as the Larklight series. SO many wonderfully narrated audios out there. Another must-listen is THE HITCHHIKER'S GUIDE TO THE GALAXY narrated by Stephen Fry, a good personal friend of Douglas Adams. He also narrated the recent movie version. It's absolutely hysterical. Nope. They just don't cut it for me. No offense to the audio book performers out there, but they just don't cut it! They always tell the story wrong (in my mind), changing intonation, rhythm, etc. And I always hate how they do the characters' voices. But that's just me, and from time to time I do listen to an audiobook for a book I've never read (and don't have preconceived ideas about), but it's kind of slow going, because I'm so much faster reading to myself. So I kinda get bored. I worked at a library one summer, and, while I moved box after box of books, I listened to audiobooks on my iPod to pass the time. I never thought I'd like them, but they really saved my life that summer! I agree that Jim Dale makes "Harry Potter" an absolute joy to listen to. A couple of the books I downloaded featured an overly-affected, high-pitched voice that drove me up the wall. One of them exaggerated all of her "h" sounds in words like "What," "When," etc. I couldn't even finish listening; it was too grating. I like some genuine enthusiasm without trying TOO hard to put on a show.